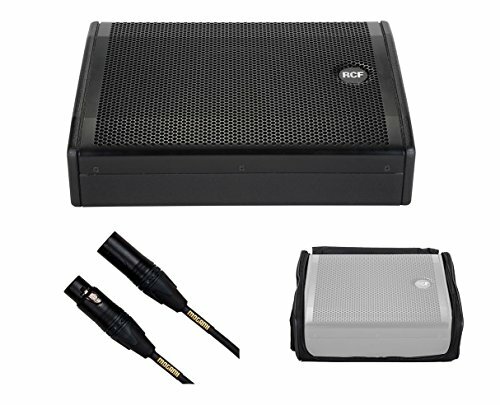 The NX 15-SMA is equipped with new high power 700 W digital amplifier and a newly designed 15” coaxial neodymium transducer that guarantees outstanding audio quality and definition as well as an extremely lightweight of the final system. - Free Field, for the use of the speakers as a stand-alone PA system. Cabinet is made in Baltic Birch plywood, finished with an extremely resistant paint for an extensive use on the road. An ergonomic side handle, integrated with the input panel, is provided for an easier transport of the speaker. Made of strong nylon construction and protects the speaker from scratches and hits. There is no better live sound microphone cable that we have found in the world that we can offer you than the Mogami Gold Stage 20-foot microphone cable. Separating Mogami Gold Stage from other cable brands is its unique cable cores with three times the number of copper strands compared to a typical high quality cable. Add comprehensive full-coverage braided shield and you have a nearly indestructible, yet highly flexible cable that offers transparency and accuracy unequaled by other brands. If you need a mic cable that won’t let you down -ever- the Mogami Gold Stage is it! NX 15-SMA loudspeaker protection and transport. View More In Stage Monitors. If you have any questions about this product by RCF, contact us by completing and submitting the form below. If you are looking for a specif part number, please include it with your message.